Intrepid Explorers, Inc. (IEI) specializes in serving information content providers in the development of new international markets, the identification and selection of potential partners, the development of new strategies and information concepts. IEI also serves clients outside the information content industry, but which may have a keen interest in entering or investing in the content industry. IEI advises the banking sector (including Central Banks) in information pooling of loan performance data and in setting up Credit Bureau operations. 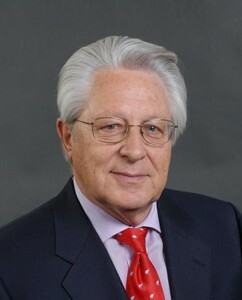 Joachim C. Bartels founded Intrepid Explorers, Inc. in 2000. Bartels is an information specialist with extensive global business experience (operations, planning, M&A, divestitures, market & key account development working in credit information, direct marketing and business information services environments. He pioneered new information concepts, new business models and set up businesses in emerging markets with continually changing political and economic environments. Bartels held line and staff management positions at the Dun & Bradstreet Corporation in the USA, and Europe. As senior vice president, Bartels managed D&B’s business development program that spanned the globe with a particular emphasis on China, Eastern Europe, India and South East Asia. He was also responsible for D&B’s strategic relationship with the credit insurance industry [Berne Union and ICISA members]. Bartels debates on a regular basis with political and industry leaders around the world about the role of information in national economies and business decision processes, plus the need to create information infrastructures as a basis for economic growth. He is a regular participant in information and credit management forums working on issues concerned with the value of information in trade credit decisions. Bartels is a co-founder of the Business Information Industry Association Asia Pacific – Middle East Limited (BIIA) and an active participant in industry advocacy matters. Intrepid Explorers, Inc. manages the affairs of BIIA – Business Information Industry Association Asia Pacific – Middle East Ltd.
Intrepid Explorers, Inc. is an affiliate of Outsell Inc., who is the world’s only research and advisory firm focused solely on media, information, and technology. Intrepid contributes articles on a regular basis about trends in the business and credit information space.